Why are so many accomplished entrepreneurs, like Richard Branson, and scientists, like Albert Einstein, and mathematicians, like Norbert Wiener, and artists, like Pablo Picasso dyslexic? People with dyslexia see the world differently. Each of these amazing individuals struggled as young learners, but their determination, grit, and ability to perceive new ways of doing things, brought them extraordinary fame and gave our humanity unprecedented gifts. In this blog, we’re celebrating National Dyslexia Awareness Month because we know that with the right champion, resources and motivation, all students can learn and reach their dreams. We hope your students will be inspired by this selection of audiobooks to appreciate and celebrate diversity in thought, mind, and ability. Despite winning the Pulitzer Prize for Poetry in 2008, Philip Schultz could never shake the feeling of being exiled to the "dummy class" in school, where he was largely ignored by his teachers and peers and not expected to succeed. Not until many years later, when his oldest son was diagnosed with dyslexia, did Schultz realize that he suffered from the same condition. What would you do with a billion dollars? This question gets a definitive answer from billionaire Richard Branson: do everything! Born into a wealthy family in London, Branson suffered from dyslexia and was a poor student. Still, his knack for business started early with a successful parakeet-breeding enterprise at age 11. In this exciting book, Davis shares the startling discovery he made which helped him overcome his own dyslexia; reveals how dyslexia may be linked to uncommonly high levels of intelligence, creativity, and imagination; and outlines a clear and simple plan that anyone can use to help themselves or others conquer this all-too-common disability. This book is an in-depth look at 12 incredible people with LD and dyslexia whose lives are characterised by major accomplishments and contributions that they have made in their respective fields as well as on the contemporary American scene. From diet and exercise to dangerous diseases to the way we are born, our health is affected by countless factors. Learn more about the ways different factors can impact your body and mind with this A True Book subset. Readers will discover how diseases are diagnosed and treated, how they can avoid getting sick, what steps they can take to improve their health, and much more. What did Leonardo da Vinci, Winston Churchill, Walt Disney, and Alexander Graham Bell have in common? They all had dyslexia. Today, it is estimated that 5 to 20 percent of school-age children are affected to some degree by this learning disability. Elaine Landau relates the inspiring stories of individuals who overcame dyslexia to excel in life. She also explores the various ways in which people are affected by dyslexia, how it is diagnosed, and the latest educational techniques that are being used in the classroom to help students cope with this problem. Book jacket. The Power of Dyslexic Thinking How a Learning Disability Shaped Six Successful Careers by Langston Robert W.
In The Power of Dyslexic Thinking, Robert Langston shares the inspirational stories of people who overcame the hurdles of living with dyslexia to become influential business and cultural leaders. From Kinko's founder Paul Orfalea to prominent financier Charles Schwab to Pulitzer Prize-winning cartoonist Mike Peters, Langston profiles some of the biggest players in the business world and elsewhere to paint amazing portraits of courage and dedication. 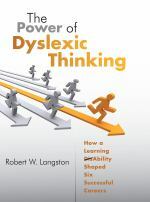 Through both research and personal experience, Langston has come to believe that dyslexia is a condition that does not need curing, but rather a greater understanding of the different capabilities and skills it can provide those who have it. He hopes that understanding more about the creative and intuitive benefits of dyslexia will allow educators and parents, as well as dyslexic children, to see dyslexia not as a disability, but as a gift. 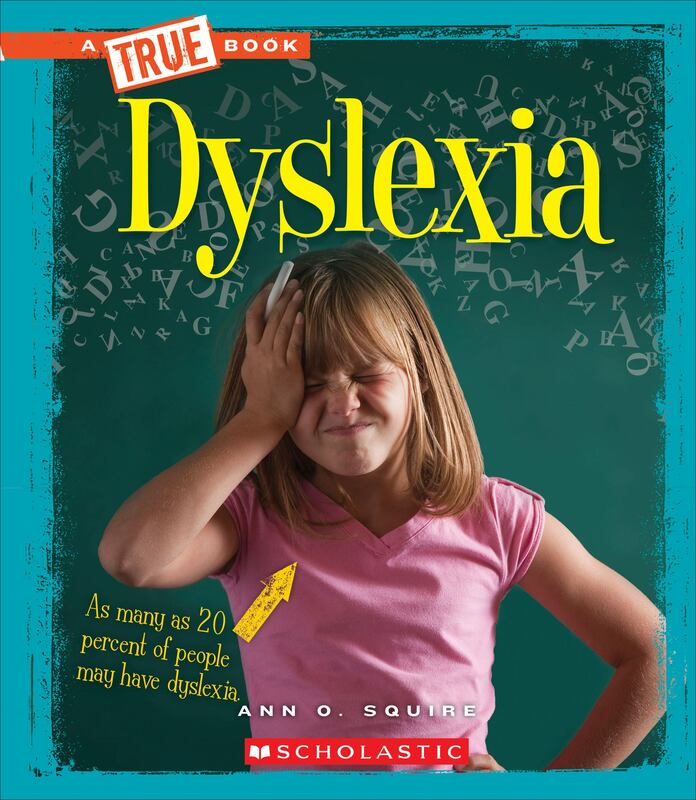 This book is a ready reckoner on dyslexia, a condensed and updated source of information on the subject, for not only teachers and parents, but also for professionals concerned with Learning Disabilities. For the school psychologist, the book is an interpretation that gives pre-eminence to the PASS (Planning-Attention-Simultaneous-Successive) theory of cognitive processes--the four major processes that replace traditional views of IQ and redefine intelligence. Learning Ally empowers over 375,000 students with improved comprehension, vocabulary, fluency, and critical thinking skills. For over 70 years, we have helped transform the lives of struggling readers by bridging the gap between their reading capability and their academic potential as they confidently become lifelong learners who thrive in school and beyond.